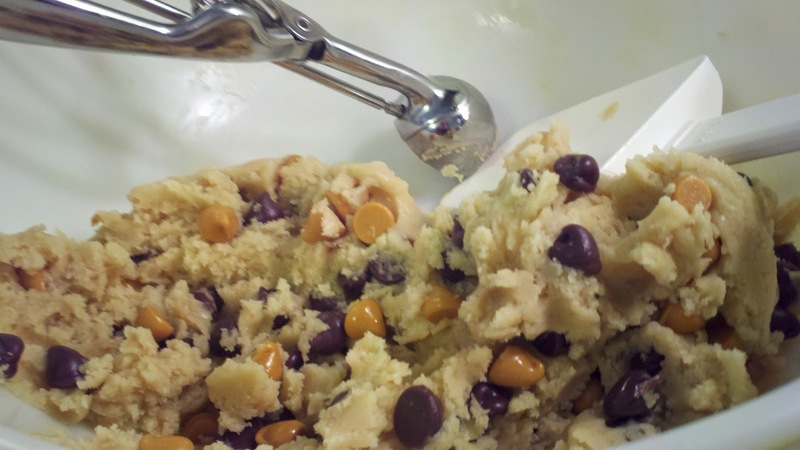 Melt the butter in a saucepan until brown. Cream the butter, cream cheese, brown sugar and white sugar together with an electric mixer until smooth. Add the eggs and beat until combined. Turn the mixer on low and mix in the flour, salt and baking soda. 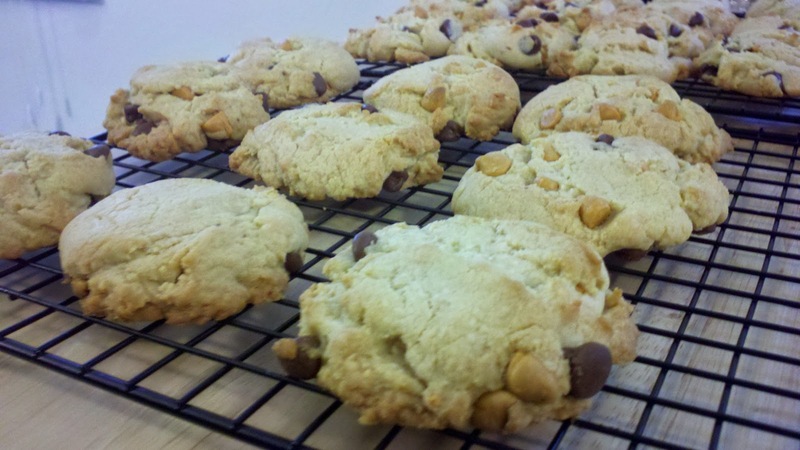 Fold in the butterscotch and chocolate chips. 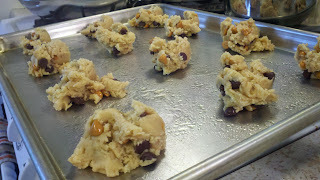 Roll 1/4 cup size balls of dough and place them on a greased cookie sheet. Flatten slightly. 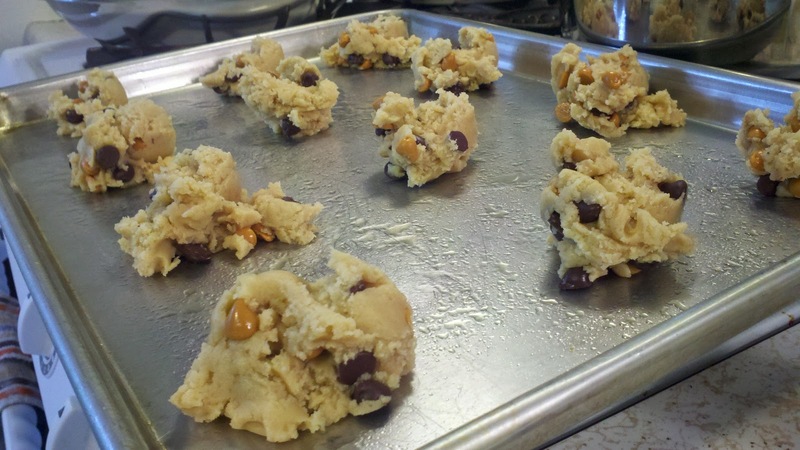 Bake for 9-12 minutes, until the edges are golden.